The recently held Child Online Protection Summit spelled what is on the way. Technology like nature cannot be hidden, it need only be discovered. There is no preventing children from using technology since it is already part of the dynamics of everyday life. From education to reading bedtime stories and ordering fast food home deliveries, technology is now being used. The dangers posed has already been discussed when content found on the internet can be damaging to children and the youth. Smartphone usage in the country has been on the rise since 5 years ago. In a symposium, a question was asked if the attendants would rather lose their smartphones or not watch TV. The result was that a majority questioned would rather have their smartphones. Facebook, the social media colossus acknowledges the use of such technologies and that a more apt messaging system for children is needed. 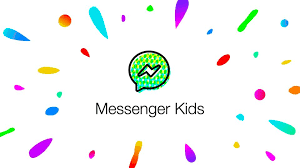 The debut of Facebook’s Messenger app for children aged younger than 12 years old is an indication that the Facebook is concerned with the market. It is no secret that many parents allow their children to have Facebook accounts and the dangers encountered have been prevalent. By having this specific messenger app, parents will be able to monitor their children’s contacts in social media since parental consent is a requirement in the app. Facebook also has more safeguard features included in the app. Facebook said the new app, with no ads or in-app purchases, is aimed at 6- to 12-year-olds and does not allow children to connect with anyone their parent does not approve. “There’s a need for a messaging app that lets kids connect with people they love but also has the level of control parents want,” according to product manager Loren Cheng. Facebook also recognize the pressure from parents who find it useful in communication with their children and has also been applied as a monitoring tool for parents, thereby necessitating the creation of such an app.